Barnaby Evans, photo by Scott Lapham. 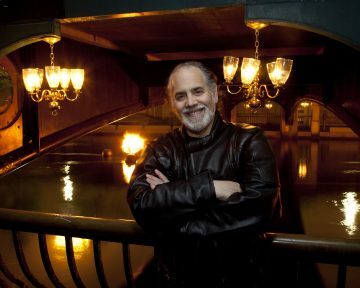 Best known as the creator and, since 1994, the artistic and executive director of WaterFire, Barnaby Evans received his BS in biology and environmental science from Brown University in 1975. He had an early career as a photographer, exhibiting his work nationally and internationally. Today WaterFire epitomizes Evans’ mission to create innovative art works that transform places and inspire people. He sees his canvas as the urban landscape and his palette as people interacting with public space. Evans has brought WaterFire to many cities, created other public art installations and received numerous awards and commendations for his work.